Neo-Rio says: Before they went on and did Tomb Raider, CORE designs came out with this platformer. A real playable platforming gem, complete with Tomb Raider style booby-traps! Neo-Rio says: Pick one of the characters and try and influence all the other characters to be on your side. Once you do that, you are Shogun! Based on the classic novel. Neo-Rio says: Snoopy has to navigate an obstacle course with some well-timed jumping. I had a great time playing this one a long time ago. Mayhem says: Flashy, fast, slick... and highly playable. 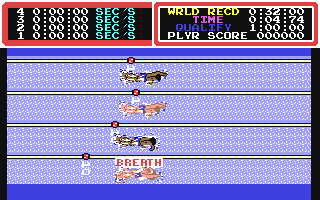 The pinnacle of console-like gaming on the C64. 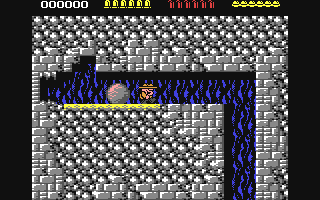 graveyardjohn says: Half the fun of this Super Sprint sequel is the easy to use construction kit. Always wanted a course made almost entirely of bridges and tunnels? Nows your chance. 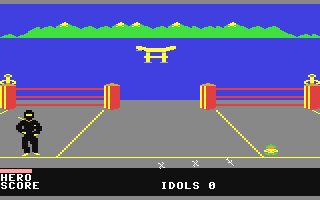 Neo-Rio says: Sequel to "Track and Field" and possibly more well known on the Commodore 64. Fortunately the waggling events are punctuated by shooting and archery events - so hopefully you won't get carpal tunnel if you play too much. Neo-Rio says: Three kids go into a creepy old house run by a mad scientist to rescue their friend. 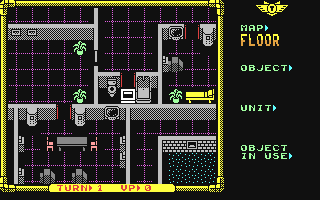 And thus begins a classic graphic adventure game from yesteryear. Easy to get into, tricky to solve... and get out alive! Mayhem says: Brilliant strategy game for one or two people. Precursor to the X-Com series on PC. So much variety and scope, no two games are ever the same!